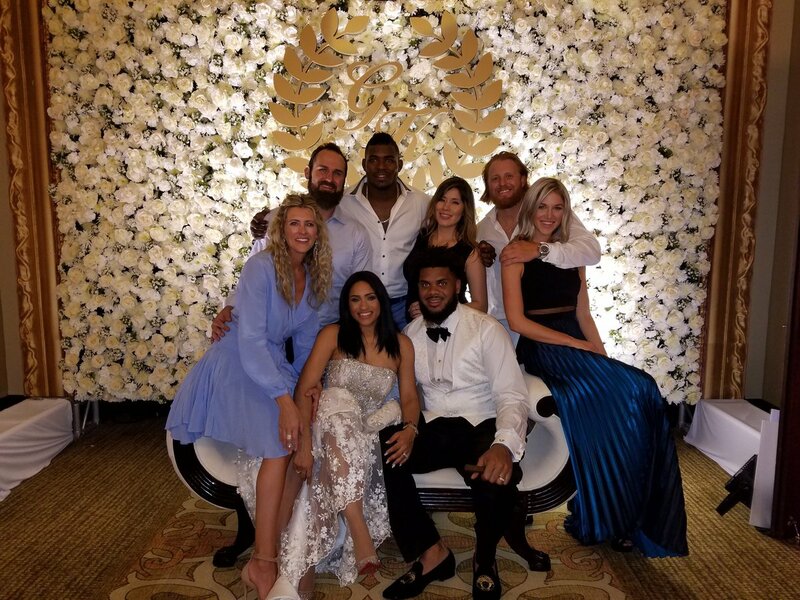 Dodgers Blue Heaven: Thanks for Staying Blue, Justin Turner! Do you think it's just a coincidence that both Turner and Kenley Jansen are signing for $16 million per year immediately after having spent some time together this weekend? ...At least, that's what I want to think. Nevertheless, it seems certain that if these contract numbers are right then Justin Turner took a discount to stay in Los Angeles, and this Dodger fan can help but feel an affinity for him - not that I needed much coaxing. 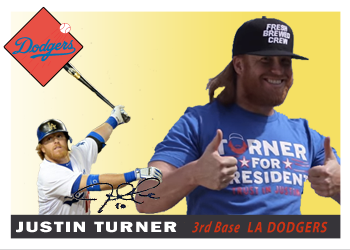 In honor of Turner's impending return to Los Angeles I made the above two fantasy Baseball cards of him. At the very top is a 1955 Topps Baseball card design and a screengrab taken from Chavez Ravine Fiends. 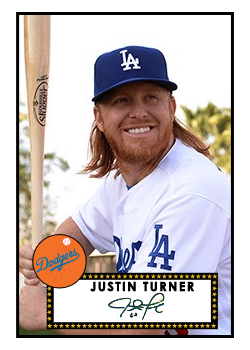 At the right is a 1952 Topps Baseball card design with a photograph taken by Jon SooHoo/LA Dodgers 2016.